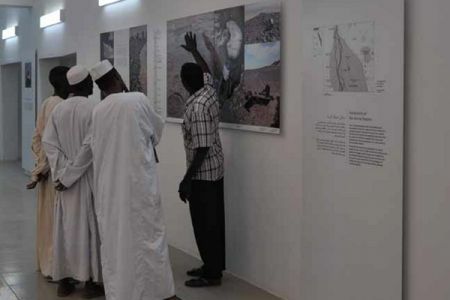 The museum aims to retrace the history and prehistory of the region. It is included in a tour of the three major archaeological sites of the area: Dukki Gel, the city of Kerma and the eastern necropolis. In fact, the entrance faces the western deffufa and it thus gives visitors easy access to the ancient city located a few steps away. The museum’s exhibition gallery covers a surface of approximately 500 square metres. 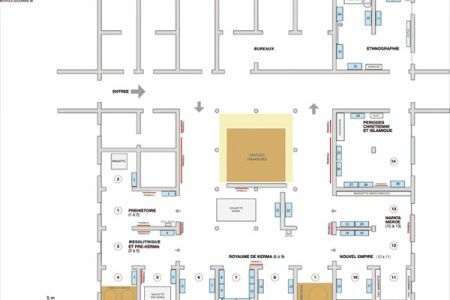 A corridor opens onto a wide central hall that in turn gives way to a series of smaller rooms. 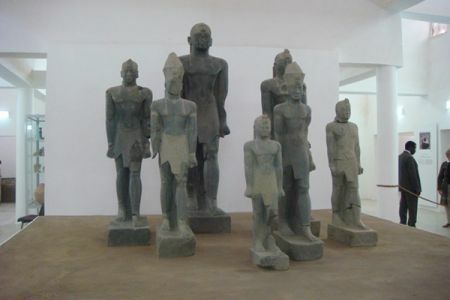 The central hall comprises columns and a 70 cm high podium, where are displayed the statues of the black pharaohs. A white wall serves as backdrop in order to highlight them. 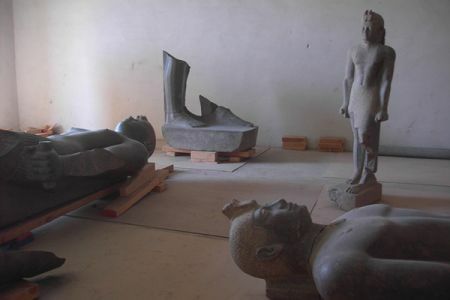 The first step of the exhibition project to display the statues started in June 2006. Scenographer Pierre-Alain Bertola and graphic designer Laurent Bonnet took over the staging, first by creating a drawing, then a canvas that was placed where these exceptional works would be displayed. 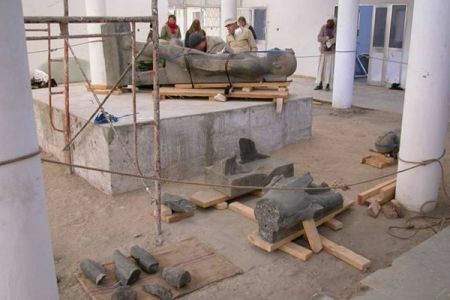 The second step took place during winter 2006-2007 and consisted of the restoration of these statues and their installation on the platform. A first series of panels introducing the museum is displayed on a side of this central space, while a second describing the discovery of the statues is affixed to the other side. These 16 bilingual (Arabic and English) didactic panels were designed in Switzerland. Measuring between one to two metres square, these panels present by means of large photographs, tables and texts the different cultures that have developed in the region. 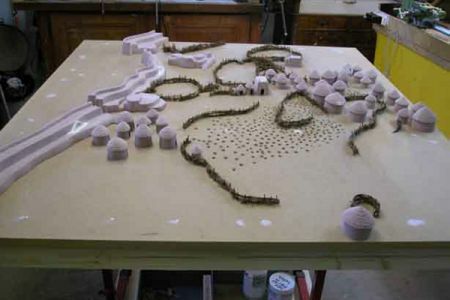 One panel was designed for each of the main periods (Prehistory, Kingdom of Kerma, Kingdom of Napata and Meroe), delving deeper in the understanding of cultural evolution. The museum includes forty cases, designed in Switzerland and created in Khartoum during 2006 by a small specialized firm. 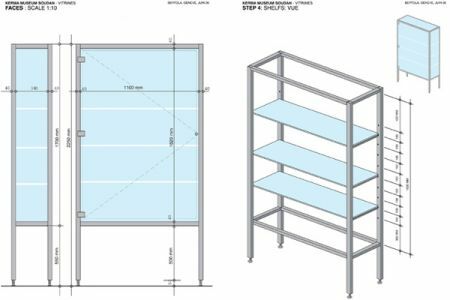 They measure 220 cm in height by 170 cm in width, their depth either 30 cm or 60 cm depending on the size of objects displayed. 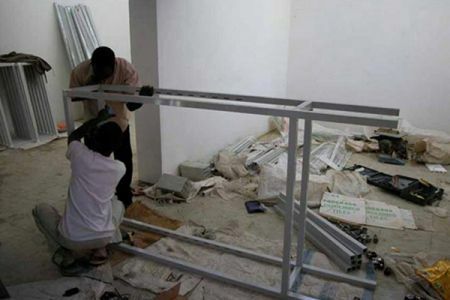 At the end of 2006, the cases were sent in pieces to the Kerma Museum together with technicians who would assemble them. During 2007-2008, these were installed in the galleries and the archaeological objects placed within them. 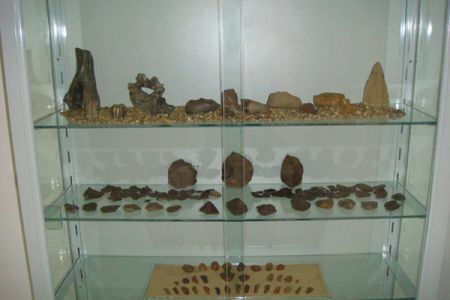 This incredibly rich collection of artefacts is entirely dedicated to the prehistory and history of the Kerma region. 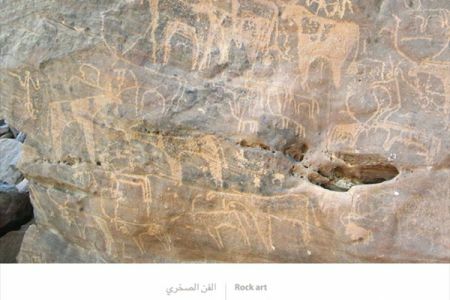 With it, it is possible to illustrate the human evolution of Sudan’s Northern Province over hundreds of thousands of years. 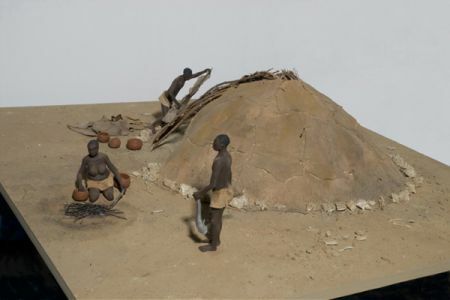 Three scale models—of the Mesolithic hut of el-Barga (7500 B.C. ), the proto-urban agglomeration of the Pre-Kerma (3000 B.C.) and the ancient city of Kerma (2500-1500 B.C. )—give a glimpse of the world of the living. 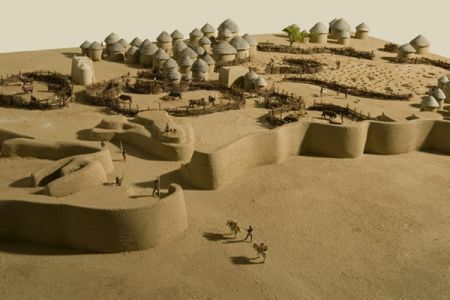 They show the evolution of settlements for each of the key periods in Nubian history. 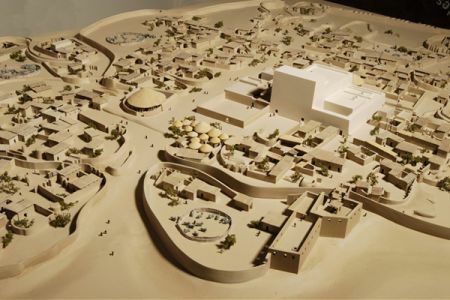 Huts indicate the birth of a sedentary way of life, the agglomeration confirms the settling of populations on a territory and the capital of the Kingdom of Kerma marks the culmination of the complexification of Nubian architecture with its ever more monumental constructions. The three models were created in Switzerland by Hugo Lienhard and were installed in the museum in January 2009. 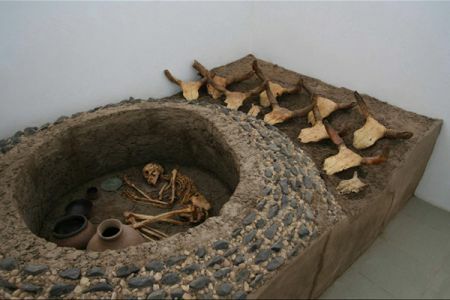 Life-size reconstructions present three tombs dated to different periods. They retrace the evolution and the complexification of funerary rituals, highlighting the beliefs surrounding the dead. 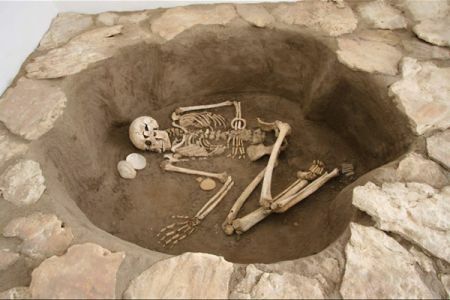 Created with materials from the sites themselves and from known models, these scenes are the reconstructions of burials observed during excavations. 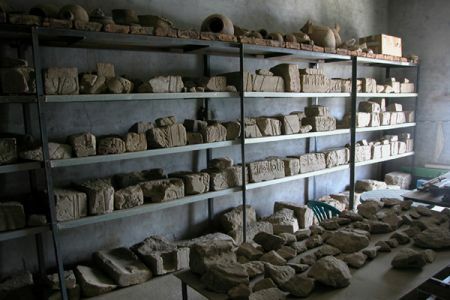 Galleries dedicated to the Napatan and Meroitic periods highlight the numerous fragments of painted or carved blocks. Discovered during the Dukki Gel excavations et stored for several years in the hangars near the site, they are now visible, having been carefully placed by Dominique Valbelle on shelves created specifically for their display. Statuettes and stone or terracotta figurines are also displayed in the New Kingdom vitrines.